Tallow is a natural, non-toxic, aluminum-free product derived from the gently handled kidney fat of grass fed beef raised without hormones or antibiotics. It contains natural nutrients and minerals that hydrate, nourish, and heal your skin. 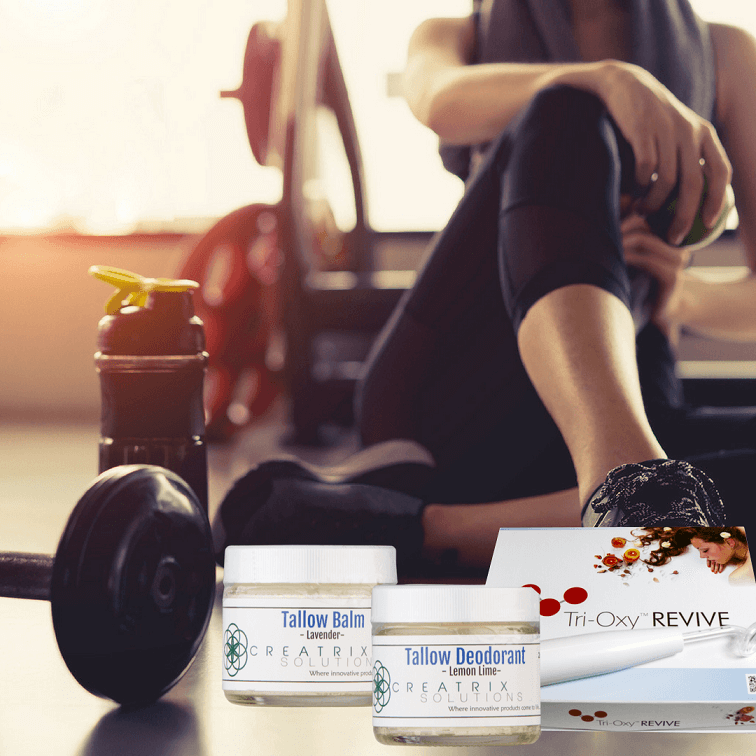 For instance, Tallow Balm from Creatrix Solutions is a safe-to-use and long-lasting skin care product that quickly hydrates and revives the dry, cracked, itching, or burning human skin and helps it regain the natural moisture. Tallow Deodorant is an aluminum-free, hypoallergenic commodity that contains zero harmful chemicals typically found in other deodorants; it softens and improves the appearance of your armpit skin while releasing powerful antibacterial elements, vitamins and fats. Our Tallow Balms and Tallow Deodorants contain vitamins A, D, E, and K, as well as conjugated linoleic (Omega-6) and Palmitoleic (antimicrobial) acids. They are gentle enough to be applied on lips, delicate areas of the face, and anywhere on the body. They work perfectly when matched with the Tri-Oxy® REVIVE High Frequency Wand that slides and glides across your skin and provides cosmetic, therapeutic and relaxation effects.